By Maryland standards, we've had a good amount of snow this holiday season. Near white out conditions cancelled Christmas Eve services and parties, but we were blessed to enjoy a white Christmas. It snowed again the day after Christmas and more snow is expected today. Although making snow angels is fun, you can't do that all day. Have fun in the snow with some fun snow toys and tools that I have for you in today's post. 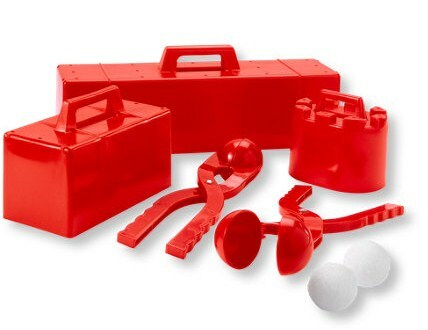 The Snow Castle Snowball Maker set from L. L. Bean is just like the old school snow molds I used to have as a child. I remember making fabulous snow igloos with the smallest red brick mold. So much fun! If you have a long driveway and sidewalk to shovel like I do, you should shovel it in style! 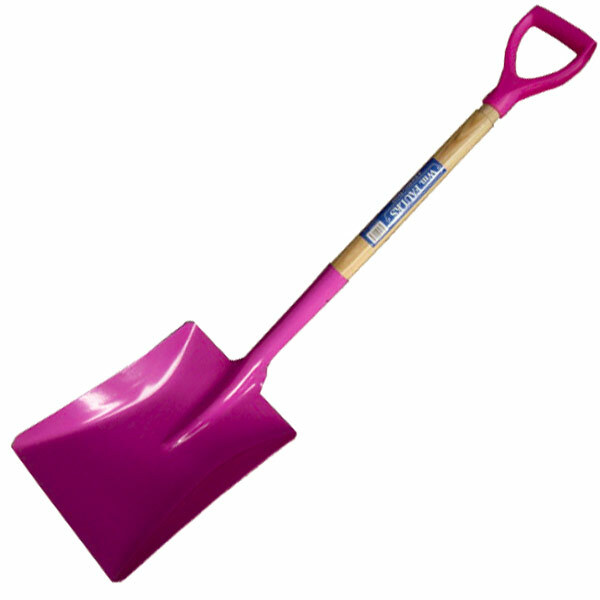 This preppy pink snow shovel makes the task a little bit brighter, don't you think? 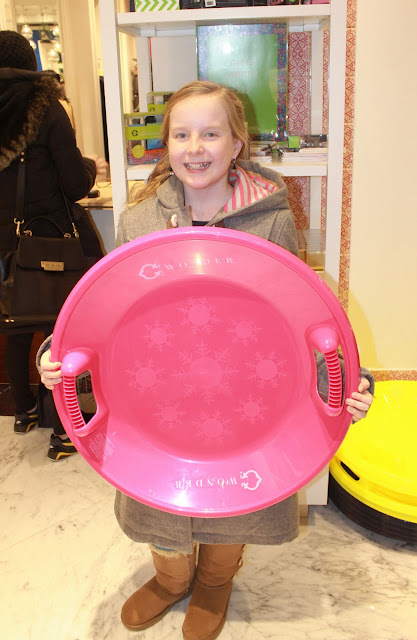 Natalia loves the pink sled from C. Wonder. The disc sled is perfect for sliding in your front yard or favorite neighborhood hill. After the snow has settled, and you are looking at the icy, half melted stack of compressed snow, your children might be reluctant to play outdoors. Now is the perfect time to pull out some toys you might not expect to use in the snow. 1. "Paint" the snow with watercolors, washable paints, or sidewalk chalk. The paints work perfectly, but you do have to press firmly on the sidewalk chalk to coat the snow in color. 2. Use beach toys and sand molds to create starfish, castles, and other beach creatures in the snow. Pretend you're enjoying a day at the beach! What activities do your children like to do in the snow?